"Excellent information. It will be so helpful when we have pasta leftovers. 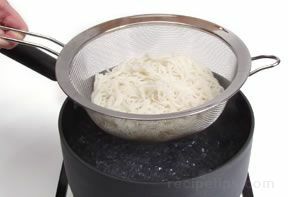 I ... read full review"
Plain pasta and pasta dishes can be reheated in the oven, microwave or on the stovetop. 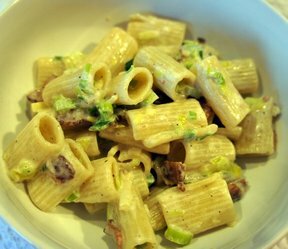 The method that works best depends on the quantity and type of pasta or pasta dish you are reheating. 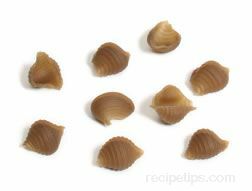 Plain leftover pasta can be reheated on the stovetop or in the microwave. Plain pasta does not reheat well in the oven because the pasta is not coated by a sauce or other ingredients to prevent it from drying out. 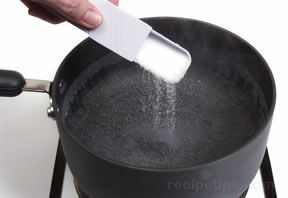 To reheat on the stovetop, bring some salt water to a boil. Be sure to use enough water to sufficiently cover the amount of pasta you are reheating, but you do not need as much water as when the pasta was originally cooked. When the water comes to a full boil add the leftover pasta. 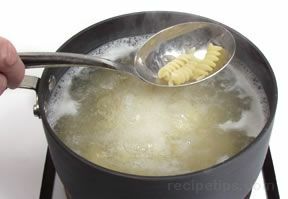 Allow the pasta to boil for approximately 30 to 60 seconds. Check after 30 seconds and if not thoroughly heated, continue to boil and check every 15 seconds until sufficiently heated. Do not overcook. 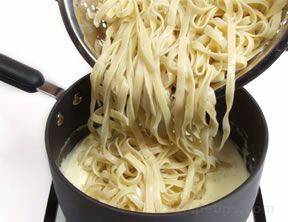 Drain heated pasta and serve plain, add it to a sauce or add it to another dish. 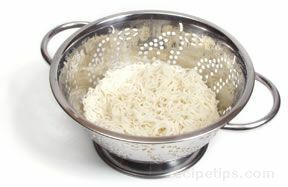 When reheating Asian noodles, place them in a strainer or colander and immerse into the boiling water just far enough to cover all the noodles. 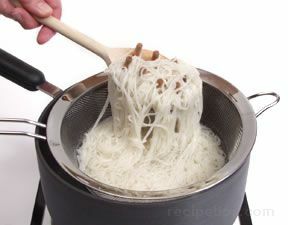 Allow the noodles to sit in the boiling water for 20 seconds. 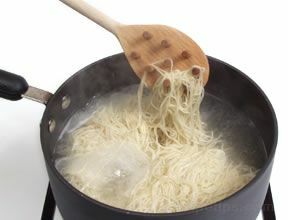 Stir the noodles with a wooden spoon to separate them while immersed in the water. After 20 seconds, drain and rinse. 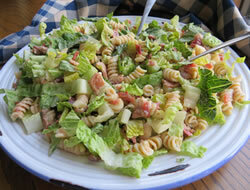 Put leftover pasta on a plate or in a microwave safe baking dish. 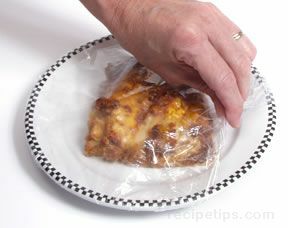 Cover with plastic wrap, leaving one corner open slightly to allow steam to escape. Microwave on medium power to prevent overcooking and heat for 1 to 1 ½ minutes. If the microwave does not have a turntable, stop the microwave halfway through the cooking time and turn the dish. After the cooking time is completed, check to see if it is warmed thoroughly. If not completely warmed, return the pasta to the microwave and continue to cook in 15-second intervals, checking after each to see if it is heated thoroughly. When properly heated, remove from the microwave and carefully remove the plastic wrap covering so that you are not exposed to escaping steam. The reheated pasta can be served plain, added to a sauce or added to another dish. 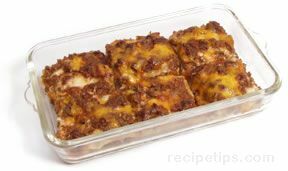 Sauced and baked pasta dishes can be reheated on the stovetop, in the microwave or in the oven. 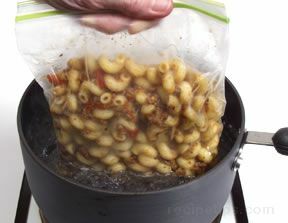 To reheat on the stovetop, the pasta would have to be sauced and stored in a heatproof plastic bag. 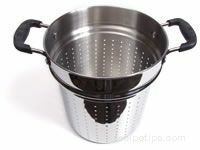 Bring water to a boil in a pot large enough to hold the bagged pasta. 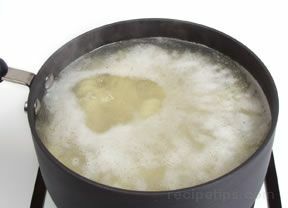 Drop the heatproof bag of sauced pasta into the boiling water. Be sure the bag is completely sealed before placing it in the water. 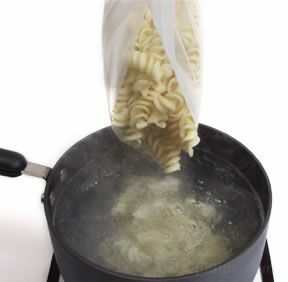 Allow the bag to remain in the boiling water for approximately 1 minute, or until it is heat all the way through. 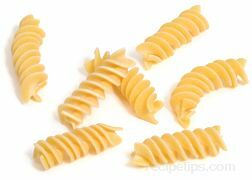 The time required to reheat the pasta will depend on the type of pasta and the quantity. Check after 1 minute and if not thoroughly heated, continue to boil and check every 15 to 30 seconds until thoroughly heated. Do not overcook. When sufficiently heated, pour the pasta from the bag into a serving bowl or on a serving plate. Baked pasta and sauced pasta can be reheated in the microwave. 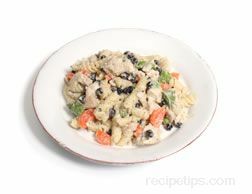 Place the leftover pasta on a plate or in a microwave safe baking dish. 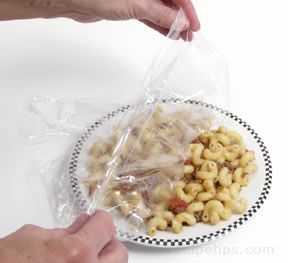 Cover with plastic wrap, leaving one corner open slightly to allow steam to escape. If you have any leftover sauce, it can be drizzled over the pasta before reheating to help prevent the pasta from becoming too dried out. After the cooking time is completed, check to see if it is warmed thoroughly. If not completely warmed, return to the microwave and continue to cook in 15-second intervals, checking after each to see if it is heated thoroughly. 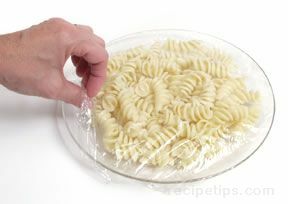 Place the leftover pasta in an ovenproof dish. 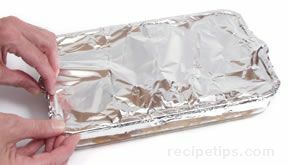 Cover the dish with its cover if it has one, otherwise cover the dish tightly with foil. Having the pasta covered tightly is necessary to prevent it from drying out. Preheat the oven to 325° and place the pasta in the oven. Heat for 20 minutes and then check to see if the dish is heated all the way through. 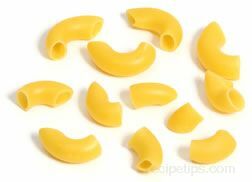 To check, insert the tip of a knife or fork into the center of the pasta and leave it inserted for 10 to 15 seconds. Remove it and feel the tip. If it is hot to the touch, then the pasta is sufficiently heated. If it is not, return it to the oven. If it is not sufficiently heated, return it to the oven and heat for an additional 10 minutes. Check again and if not heated thoroughly, return to the oven again. Repeat at 10-minute intervals until thoroughly heated. 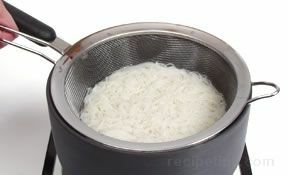 Reheating time will vary according to the type of pasta dish and the quantity you are reheating. When thoroughly heated, it is ready to serve. When reheating any type of pasta, it is important to keep it from getting too dried out by whatever method you are using. To prevent it from becoming too dried out, be sure to not use too high of heat, cover the pasta tightly and do not cook any longer than necessary to heat it thoroughly. 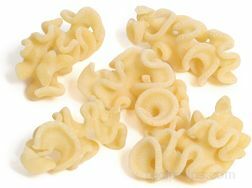 When microwaving leftover pasta, heating individual serving size portions one at a time works better than trying to reheat several servings at one time. The individual servings will heat more evenly. 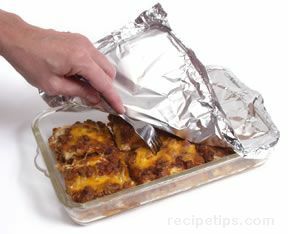 When reheating lasagne in the oven, poke several small holes in the top of the lasagne and pour a small amount of milk over it and then cover the lasagne tightly with foil. 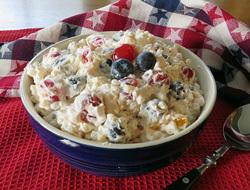 Place in a 350° oven for 20 to 25 minutes or until cheese is bubbling. The little bit of milk will help keep the lasagne moist. "Excellent information. It will be so helpful when we have pasta leftovers. I usually just stick things in the microwave to reheat but some of these techniques look like they would work better. It seems like the reheated pasta would be closer to what it was like when first cooked. I will definitely try some of these methods."